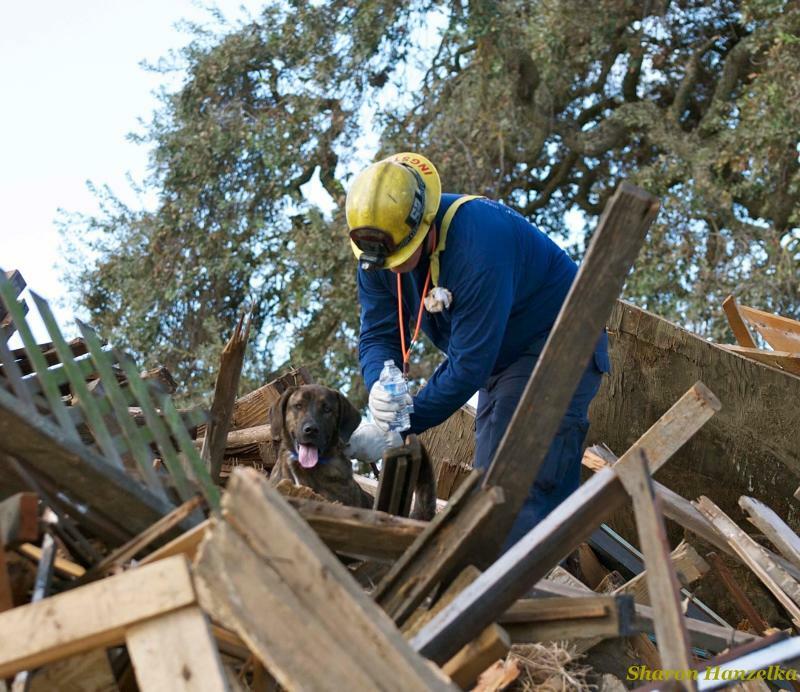 Thanks to you, our supporters nationwide, two new Search Teams have joined SDF’s roster of 74 teams on call to respond to local, national, and international disasters. Their job: to find people buried alive or trapped in the wreckage… to make sure no one is left behind. Java, a one-year-old Plott Hound mix, was picked up as a stray and discovered by SDF volunteers Laura and Wayne Rathe at Bones Pet Rescue in Covelo, CA. 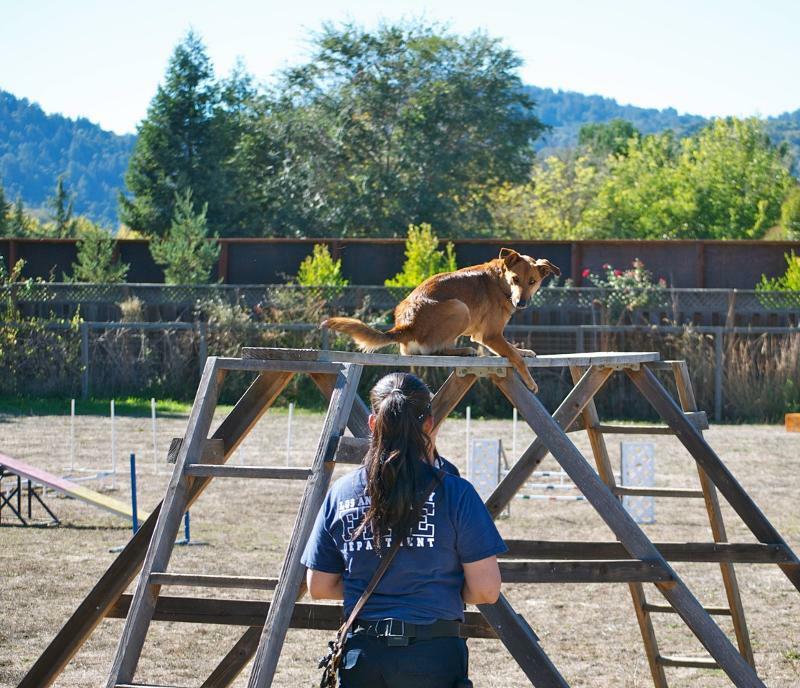 They saw “66 pounds of goofy, happy, and friendly” in this beautiful girl, but the extreme drive and intelligence that came out during her first evaluation were sure signs of a future Search Dog. Roxy, a beautiful mutt, was surrendered to the Sacramento SPCA by her previous owners because she was too rambunctious – they just couldn’t handler her. After an evaluation by SDF volunteer Andrea Bergquist, she was brought to SDF. 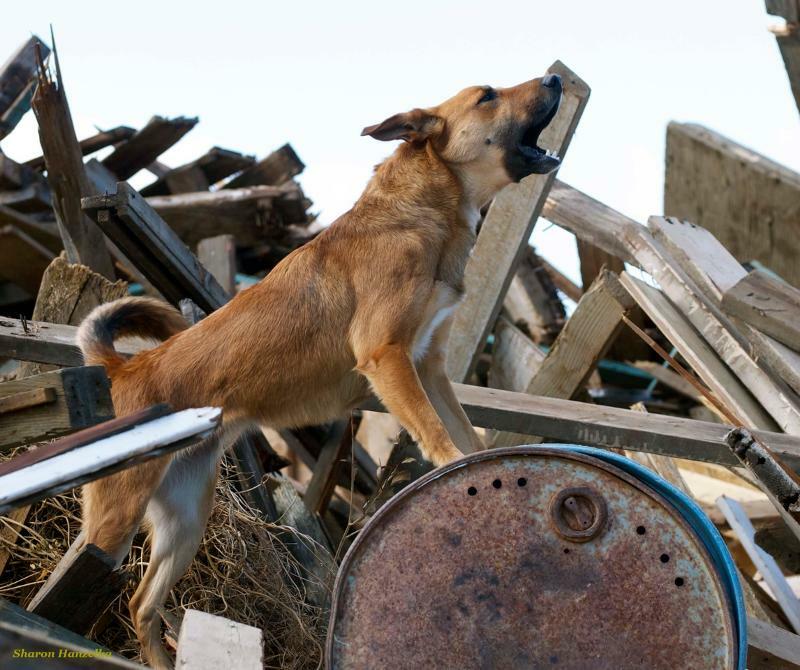 “Roxy’s a natural on rubble! 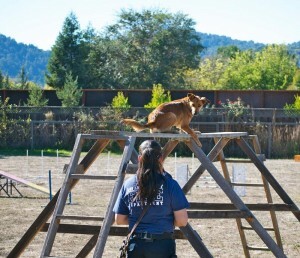 She has tons of drive, searches well, and gives great bark alert when she finds the victim,” says trainer Sharon Hanzelka. As Roxy and Java were sharpening their search skills at the 6-month intensive Canine Training Course in Gilroy, CA, Cynthia and Eric were attending Search Team trainings at rubble piles in and around L.A. 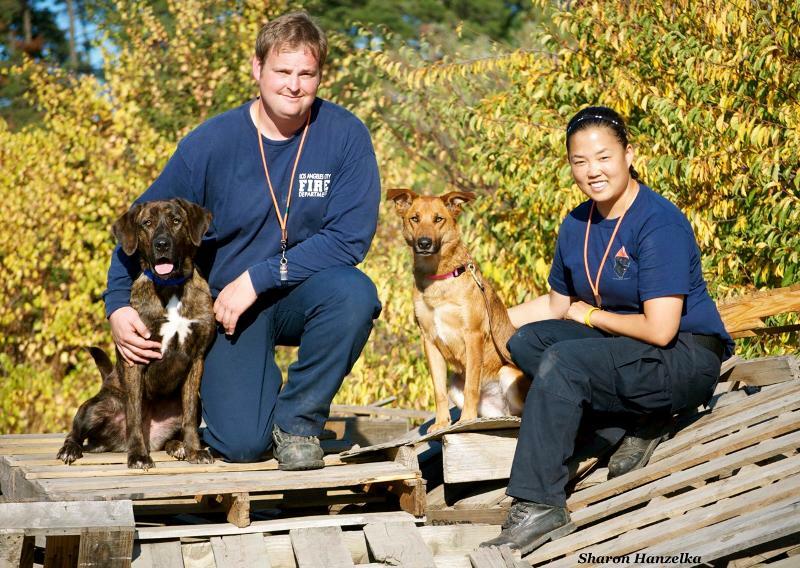 They watched veteran SDF teams in action and served as volunteer “victims,” hiding out for hours in makeshift underground “voids” as a succession of Search Dogs caught their scent, followed the trail, and earned the reward: a wild tug-of-war for the ultimate prize, a chewed-up piece of fire hose. It’s all about training now, as the new teams gain the skill level and confidence to pass FEMA Certification and get ready to deploy. They’ll train everyday on obedience, obstacles and direction control, and twice a week work on rubble with SDF’s L.A. teams. Twice a month they’ll meet at the Santa Paula Training Center for training “tune-ups.” Throughout this journey, the new handlers will be nurtured-and challenged-under the wing of veteran handlers. We all wish Eric and Cynthia well in their work, and thank them for their dedication to the mission and their service to America. Thank you for being… Part of the Search.